Product prices and availability are accurate as of 2019-04-26 04:08:07 UTC and are subject to change. Any price and availability information displayed on http://www.amazon.co.uk/ at the time of purchase will apply to the purchase of this product. 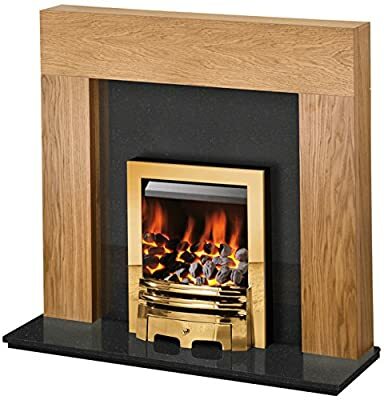 Combining our gorgeous, Miami mantelpiece in oak with the power and heat of the Gem gas fire in chrome, this fireplace suite really packs a punch. Finished off with a deep, black granite back panel and hearth with speckles, this will make a fantastic addition to any home.